A simple style taken up a notch for the holidays. On the twelfth day of Christmas… it’s finally time to sit back, relax and celebrate! If your holiday traditions include wearing matching pajama sets all day and lots of time spent tasting treats around the table, you’ll want a hairstyle that’s both comfortable and festive to match. Or if your celebrations call for a sparkly dress, some shimmery eye shadow and a fancier hairstyle then we’ve got you covered too. One of our favorites is a voluminous updo that enhances your natural texture while also doubling up a fun party hairstyle, complete with a cute hair bow. This easy-to-create hairstyle is very necessary after all that holiday prep. 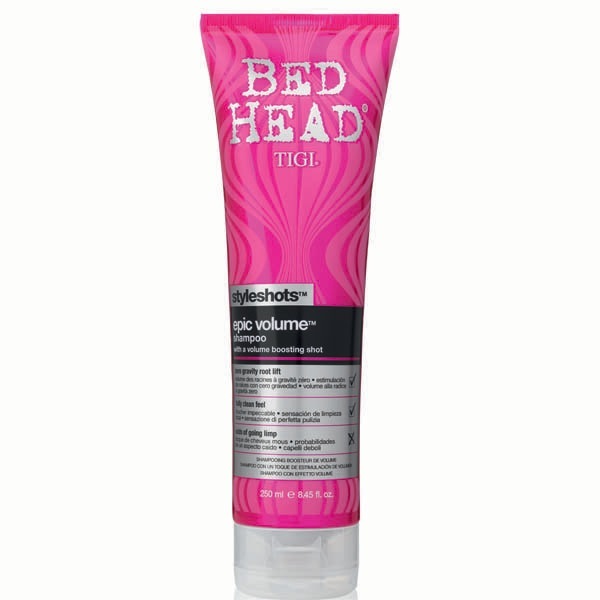 Bed Head by TIGI Epic Volume Shampoo and Bed Head by TIGI Epic Volume Conditioner helps give you a head start when it comes to this style’s signature volume. 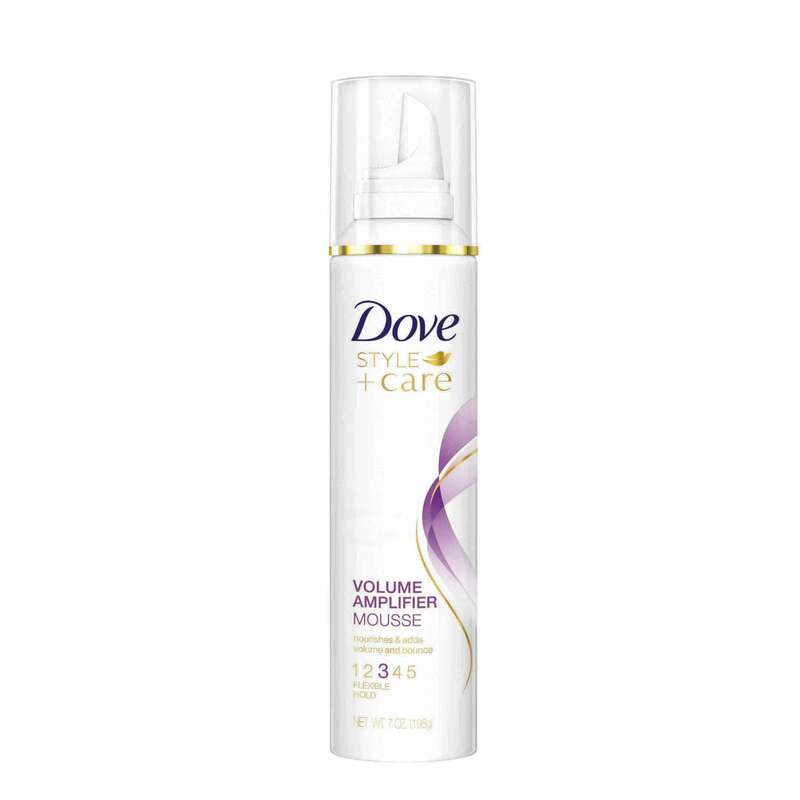 Follow up with a generous dollop of the Dove Style+Care Volume Amplifier Mousse, then comb it through your damp strands. Focus mostly on the roots but don’t forget to give the ends of your hair some love, too. The more volume the better! Step 3: Air-dry and finish last minute holiday preparations. 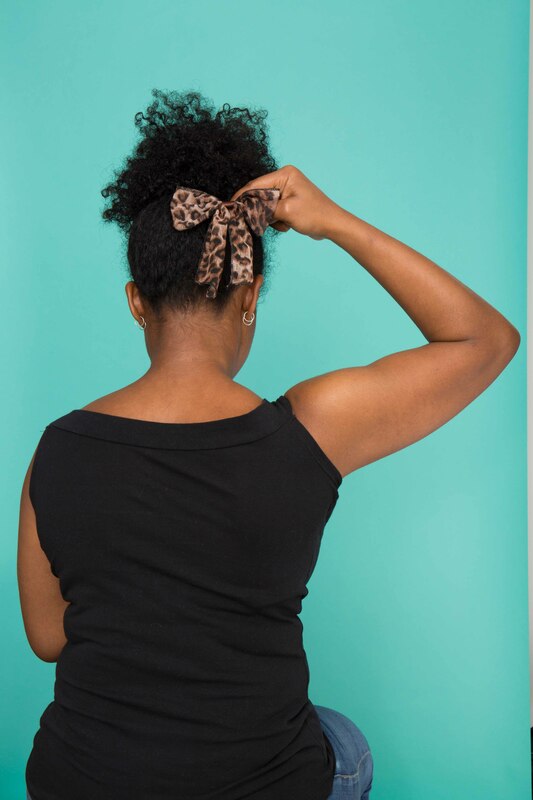 Letting your hair air-dry allows your curls to do their thing. Your natural texture is only an asset for this style so let the mousse do all the work while you finish prepping! Step 4: Gather, secure and pin. Gather all of your hair on the top of your head and secure it there with a hair tie. Lightly push the outer curls upwards and pin them into place to create maximum amounts of volume. You can leave the style as-is for a comfortable updo that still has a touch of glam for a day spent inside drinking hot cocoa and opening presents or for a fun post-holiday adventure with your girls. Step 5: Add a little something extra. When it’s time to don that sequin-covered sweater and put on a pair of heels, add a hair bow that you play just underneath the updo. We love how this adds an unexpected touch of holiday glam. Edge up that natural 'do. 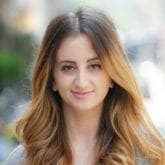 How Can you Get Professional Hair for the Holidays?